None of the woman who registered to run in the Assembly of Experts elections was approved by the Guardian Council. The council forwarded the list of eligible candidates for the Assembly of Experts elections to the Ministry of the Interior. The list reportedly did not contain the names of any female applicants. Earlier, the authorities had announced that 16 women had registered to run in the Assembly of Experts elections. There has only been one female member of the Assembly of Experts in the history of the Islamic Republic; Monireh Ali served on the very first Assembly of Experts. Since then, the council has not approved any women to launch a campaign. 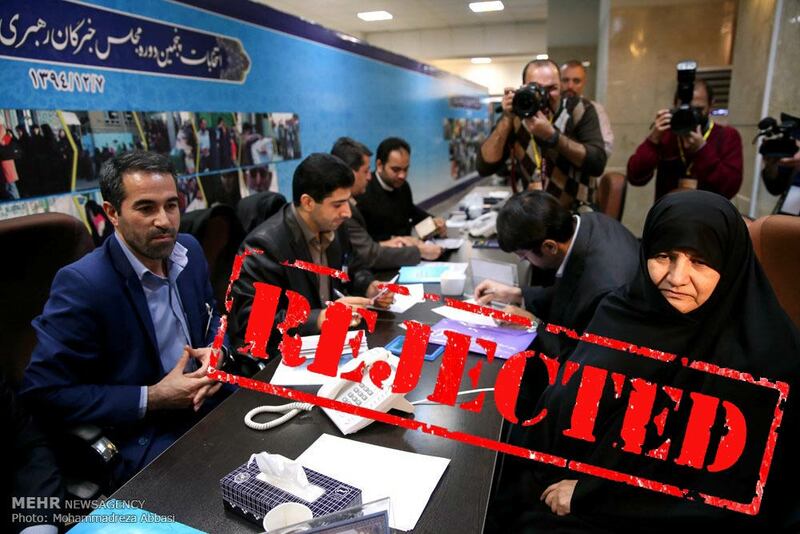 The council reported that 45 percent of applicants were disqualified, and of the 373 people who registered, 166 have been approved to run. The Assembly of Experts is a group of experts in Islamic jurisprudence that is charged with the selection and monitoring of the Supreme Leadership in the Islamic Republic.